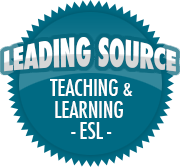 The ZPD, not just for kids | So, You Think You Can Teach ESL? How many of us have learned about the Zone of Proximal Developent (the ZPD) when learning how to teach our young learners? I’ve written about this in earlier blog posts, in relation to how we teachers can best decide on what material to teach our young learners. However, as a college teacher, I’m realizing more and more that the ZPD is just as applicable to our older learners. For instance, I spend a good part of my lessons convincing my students that they don’t really have to follow the English textbook (in Dutch fittingly called the “method”) when they teach their classes. In fact, I often encourage them to write lessons of their own, based on the interests and language level of their classes. The game of Minecraft, Disney’s Frozen, dinosaurs, it’s all fair play in the world of ESL as far as I’m concerned.